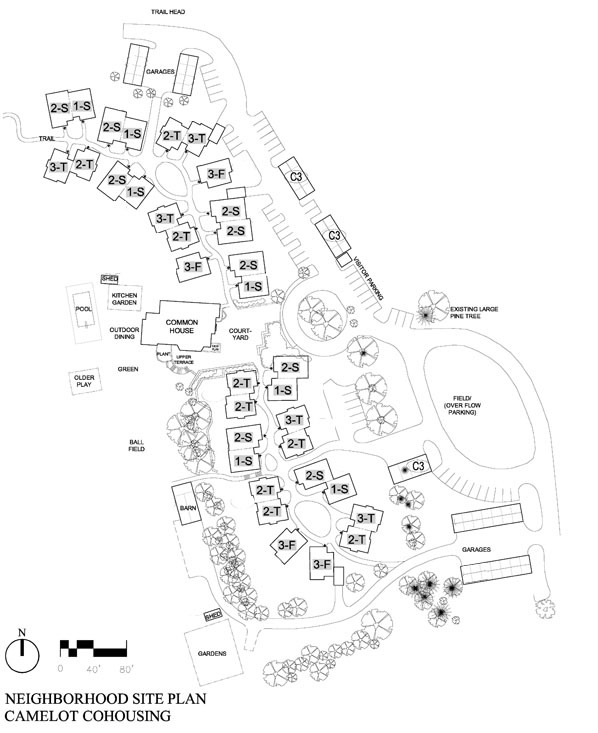 Our site layout centers the units around a central Commonhouse and a Pedestrian path. Parking will be close to the units but not the focus of the neighborhood. This layout reduces the barriers to community that are built into typical subdivisions while being mindful of privacy.